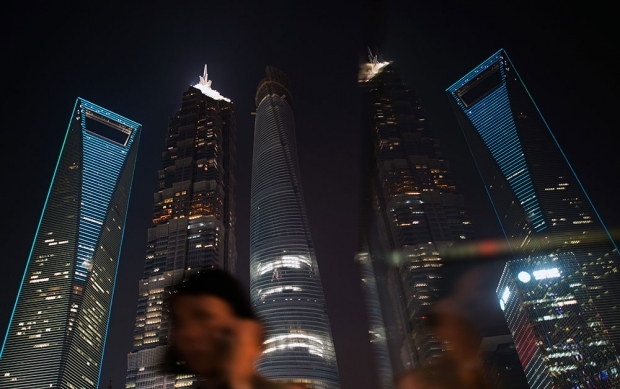 A woman walks on a bridge in front of Shanghai’s skyscrapers in the Pudong Lujiazui Financial District. Today on Sinica, we take our eyes off Beijing for a change, and direct our gaze to Pudong and Puxi, and talk about what Shanghai means to us, itself, and others. Joining us for this discussion is Anna Greenspan, author of Shanghai Future: Modernity Remade. Among her other accomplishments, Anna is a teacher of urbanism and cybernetic culture at NYU Shanghai, and is the founder of the Shanghai Studies Society and Hacked Matter.